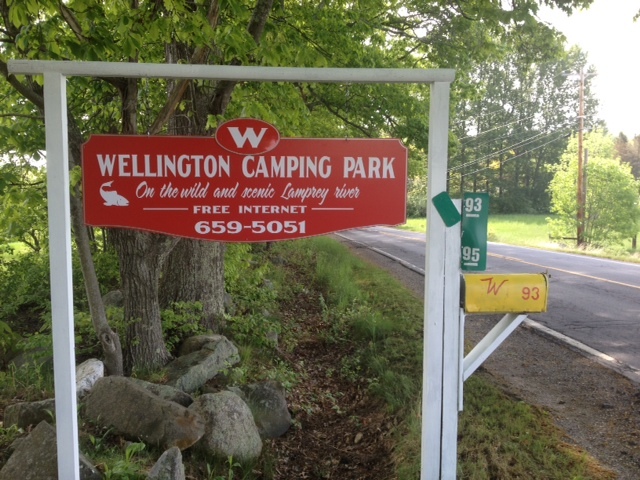 Wellington Camping Park was started in the summer of 1962 by Avis and Eliot Wellington on the shores of the wild and scenic Lamprey River. It is a family campground with lots of room to roam. The sites are nestled in the woods along the river, with walking trails and meadows to explore and great fishing along the banks or by canoe. The river is shallow and can be crossed in many spots by simply walking. Our camping park has over 180 acres with 2,500 feet of frontage on the river. We have a recreation hall for those rainy days. Nearby we have horse shoes, volleyball, badminton and tetherball. Within a half-hour drive you will find the Atlantic Ocean and many New Hampshire beaches. The White Mountains are an hour and a half north and the University of New Hampshire is in the next town over. The campground is now operated by Pat Wellington and her sons. If you need anything, find a Wellington - we are happy to help.